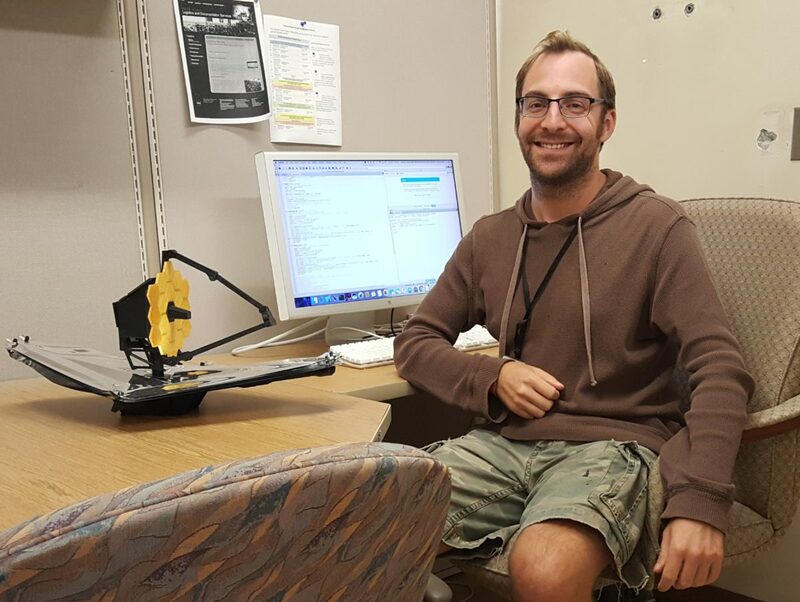 The phone call students receive when offered an internship is life-changing, but it’s only a brief moment in their journey to becoming a NASA intern. Xavier worked tirelessly for years with his goal in mind, and receiving his internship offer made everything worth it. The day that I received the call from the Johnson Space Center will forever remain one of the defining moments of my life. The disbelief, excitement, anxiousness, nervousness, joy, and sense of accomplishment all compiled at once. It was a moment that I did not need to look back in hindsight to realize just how momentous it truly was. Finally, the sleepless nights, words of encouragement, and struggles endured, are paying off. I knew what I was capable of, and now nothing could stand in the way of me achieving my dreams. My journey began entering middle school. I quickly found myself as a cadet in the Civil Air Patrol, and at the age of eleven I flew my first plane. The rest of my time consisted of engaging in emergency service exercises, learning fundamental aerospace concepts, and learning how to fly. By the end of the eighth grade I had earned the rank of Cadet Second Lieutenant. Starting high school, certain that I wanted to have a future in aerospace, I had my sights set on the Air Force Academy. Consequently, I attended Rancho High School, enrolling in both the Private Pilot and Aerospace Engineering programs. Rancho exposed me to a plethora of new experiences ranging from becoming a varsity wrestler to learning the Russian language. I also met my wonderful teacher and mentor, Mrs. Sara J. Quintana, who opened my eyes to the possibilities and beauty of engineering. 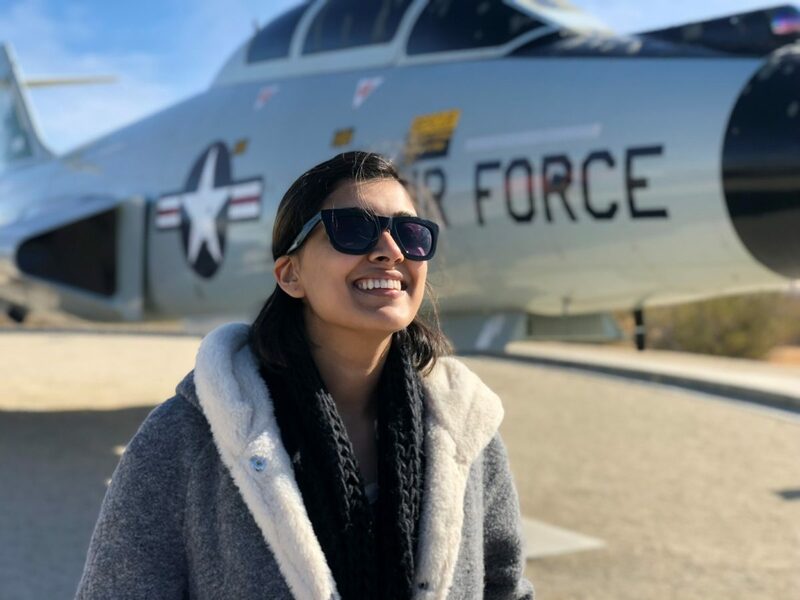 Upon graduation from Rancho, I earned my Private Pilot License, worked as an aircraft mechanic, earned twenty-seven credit hours of college credit, and was accepted into the United States Air Force Preparatory Academy. However, I found that my interest in a career with the Air Force waned. I declined my admission offer and attended the University of Nevada, Las Vegas (UNLV). My time at UNLV has been nothing short of extravagant. During my first year I joined the National Society of Black Engineers (NSBE), and the American Institute of Aeronautics and Astronautics (AIAA). 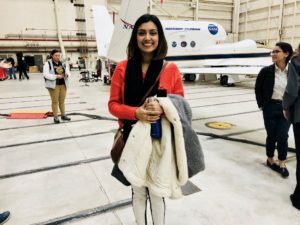 As a member of AIAA, I joined a team tasked with designing and building a solar-powered Unmanned Aerial Vehicle (UAV) to be flown approximately 340 miles away. This beckoned me for I loved all things aviation and maintain a deep love for the environment. Within NSBE, I began giving back to my community through educational outreach events devoted to encouraging secondary school students to pursue higher education. Then, things ceased to prosper. 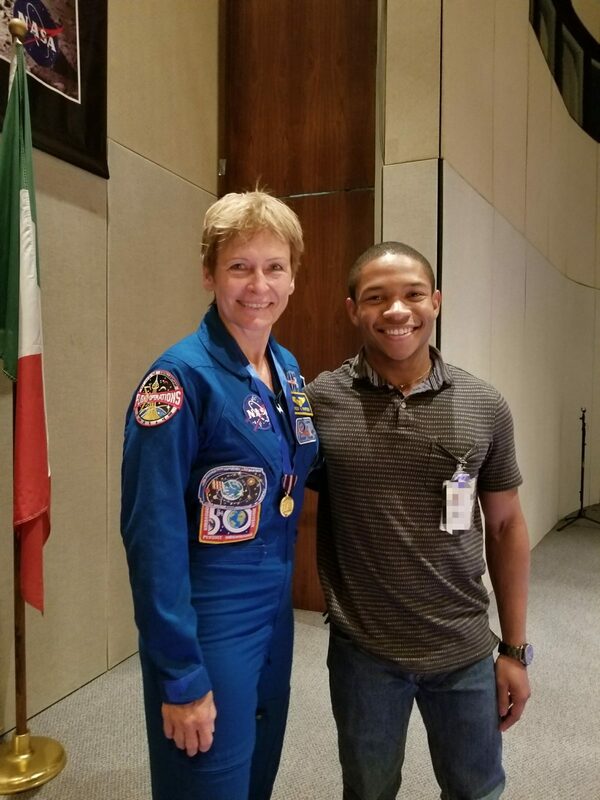 While staffing an outreach event I encountered a former high school instructor who told me I would never make it to NASA. I was in a state of disbelief to hear this, however it only motivated me. With fervor, I made it a mission to prove him wrong. Shortly thereafter, I was elected president of my university’s NSBE chapter. While this restored a fair amount of my confidence, I soon found myself in a deeper rut after suffering the loss of a close friend and the former NSBE president before me. Stricken by grief and confusion, I was overwhelmed in an unprecedented manner. Months passed and as the community began to heal, I found a new motivation. One that was no longer just about myself, but rather my community at large. Pressed with school, work, and emails, I finally got a call during my lab. I rushed out to answer it, and once I heard who it was from, the world fell silent. “This is it,” I thought to myself. “It’s finally happening.” A journey truly out of this world had just begun. 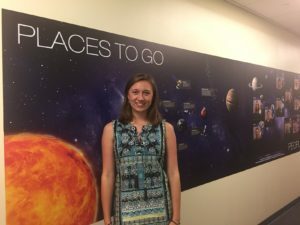 “Age is but a number” is a phrase familiar to NASA Kennedy intern Madison Melton. 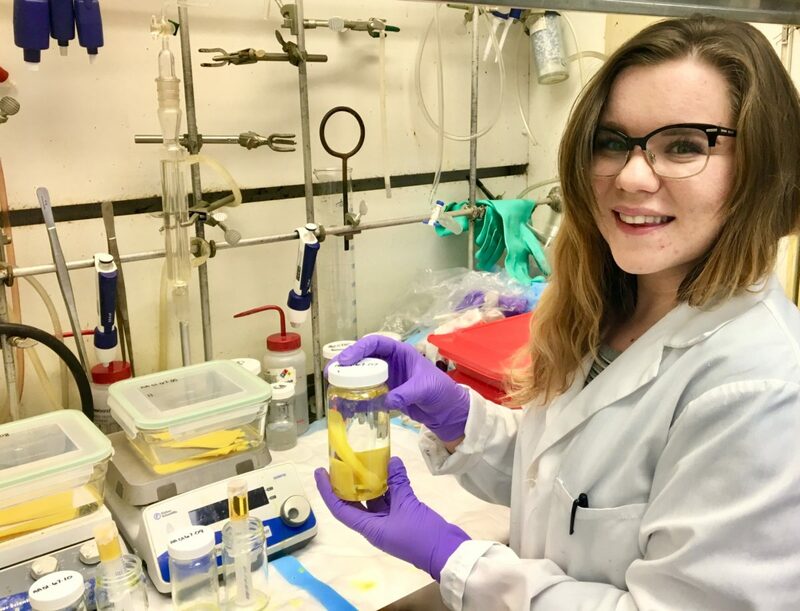 Pursuing NASA opportunities in high school led her to receive a fall 2017 internship at the age of 18. Growing up, I watched the movie Apollo 13 and experienced the adrenaline of “go for launch.” I was captivated by the enormous power and massiveness of rockets, awed by the roar and thrill of blast off, and intrigued by the vastness of space. For me, this is what my dreams were made of. Now, I’m a NASA intern and living my dream. Although it was hard getting here, the journey was a labor of love. Along the way, I’ve had much help from my mentor, Scott Pleasants, and my parents, LB and Frieda Melton. These people taught me that no one is ever too young to pursue his or her dreams, and encouraged me to pursue my own. Scott, along with my parents, taught me to trust in the doors that God opens, and soon after that my dream of working at NASA became a reality. During my junior year of high school at the age of 15, I participated in a class held by NASA called Virginia Aerospace Science and Technology Scholars (VASTS). This experience ignited my passion for aerospace and validated my direction and that my dreams are attainable. Graduating as a top VASTS scholar, I was offered the opportunity to go to NASA Langley Summer Academy for a week to develop a mission to Mars. Here, I was with other like-minded students and professionals, pushed myself in new areas, and submerged myself in my dream. 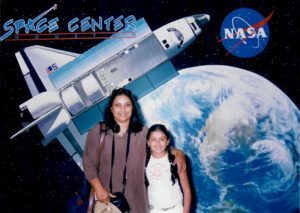 Leaving Langley, I was even more determined and focused on becoming an engineer and earning a chance to work at NASA. After completing several other engineering internships, my chance at NASA came. During the spring semester of my first year of college, my current mentor at NASA, Carlos Alvarado, called to interview me for an internship for fall 2017. I can’t begin to say how honored I am to have been chosen as an intern for NASA. From orientation to tours to seeing rockets being built in the Horizontal Integration Facility (HIF) and Vehicle Assembly Building (VAB), I feel like I am a part of something bigger than myself, and that really drives me to work as hard as I can. Just knowing that I can contribute and help advance humankind by ultimately working towards sending a spacecraft to Mars motivates me to diligently work and excel with the material entrusted to me. For my internship, I am working with the Launch Services Program (LSP) in the Avionics branch. I evaluate vehicle data from commercial launch providers (i.e. ULA, Space X, and Orbital Sciences) and model that information on IRIS and Winplot scripts/pages. The IRIS system and Winplot telemetry monitoring system are in-house developed applications and serve as the primary tools within LSP for real-time vehicle monitoring during launch vehicle operations, launch day countdowns, and data review. The development of IRIS screens and Winplot scripts is intended to capture recent avionics modifications implemented on current launch providers systems. I support a crew of senior engineers to develop an understanding of launch vehicle system/sub-systems, launch vehicle telemetry, data collection, problem solving, and programming. Also, I monitor launch countdowns, test operations for the rockets, and assess anomalies and issues. 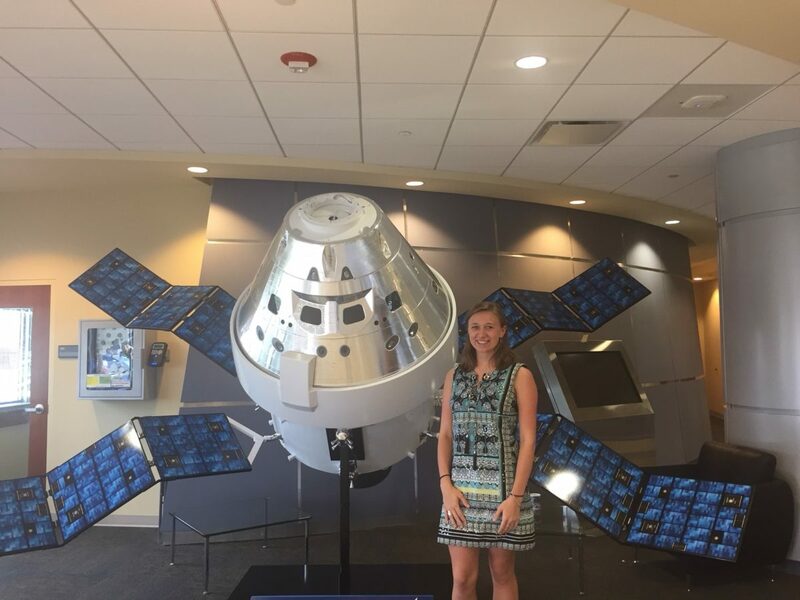 At age 18, Madison spend her fall 2017 semester working with the Launch Services Program in the Avionics branch at Kennedy Space Center, where she evaluated and modeled vehicle data from commercial launch providers. Working with such immense talents and bright minds is inspiring and humbling as well. At eighteen years old, I am the youngest intern in our group for this semester and the youngest in the Launch Services Program Avionics department. I am honored to be here and ready to give NASA my best. Every day, I go to work with a smile on my face, because I think I have the best job in the world.